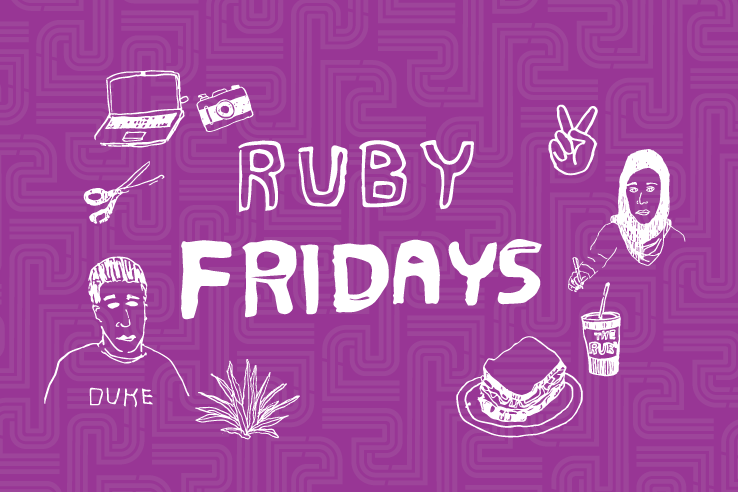 In this Ruby Friday presentation, longtime collaborators Stephanie Griffin and Hilliard Greene will discuss their contrasting musical experiences and their work together as improvisers, which they will demonstrate with live performance. The two come from distinct backgrounds. Griffin's musical training, which includes a DMA from the Juilliard School, is rooted in the classical tradition, while Greene hails from the jazz tradition, and received his training at the Berklee School of Music. Their worlds intersected in the free improv, or avant-jazz, scene, where they perform as a duo and with other musicians in their community. Griffin and Greene's appearance at the Ruby will follow their Thursday evening concert at Arcana in downtown Durham-part of the Community as Creator event series. The concert will include graphic scores created by local visual artists that are interpreted as sound, works by musical performers who are now first time composers, and a new graphic score by Griffin, performed alongside a silent film. The goal of Community as Creator series is to open the creative process to different individuals in the Duke and Durham communities. The series is made possible through the support of a D-SIGN Grant from the Office of the Vice Provost for Interdisciplinary Studies.